The BlackBerry Classic is a quintessential BlackBerry, any way you slice it. With a hardware QWERTY keyboard and navigation buttons, a strictly business appearance and the best enterprise chops in the industry, the newcomer is reminiscent of the Blackberries of old when the mobile world was not all about big touchscreens. 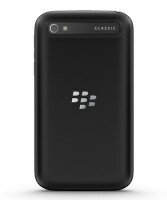 At a quick glance, the Classic appears to be a direct successor of the BlackBerry Bold Touch 9900. Seriously overdue for an update, the Bold Touch made its debut in the distant 2011 and it still enjoys a solid following in the corporate world. The BlackBerry Classic harks back to the glory days of the Canadian company not only in terms of appearance, but also hardware specs. The device's Qualcomm Snapdragon S4 chipset dates back to the year its predecessor launched. The BlackBerry Classic is clearly not a smartphone you will buy for its cutting edge hardware specs. See a detailed look of its key features below. 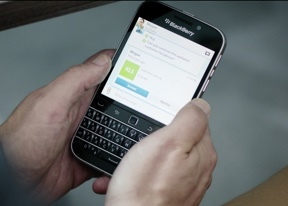 The hardware QWERTY keyboard and its shortcuts, coupled with the solid productivity and security chops of BlackBerry OS 10.3.1, are bound to appeal to users in the corporate world. During the smartphone's media presentation, BlackBerry's CEO specifically pointed that the Classic is not aiming to be a mass-market device. The handset is made for prosumers and corporate professionals - a considerable crowd with BlackBerry 9900 Bold devices due for an upgrade. Can the BlackBerry Classic cut it as the only smartphone in your life? Is it the ultimate second handset? Read on to find out! We have our thumbs ready and will kick the review off with unboxing, followed by a close look at the hardware. Editorial: You may notice that this review is shorter than usual and doesn't include some of our proprietary tests. The reason is it has been prepared and written away from our test labs. Still, we think we've captured the essence of the device in the same precise, informative and detailed way that's become our trademark. Enjoy the good read! Blackberry Classic Support Jio Call and JIo Net service ..? please suggest, is it good option to buy Blackberry classic in Oct 2017..? Does it support jio Volte calls? Yes, it will run Android apps. So you should be able to find it in an AppStore (eg. Amazon), or an APK if you wish.